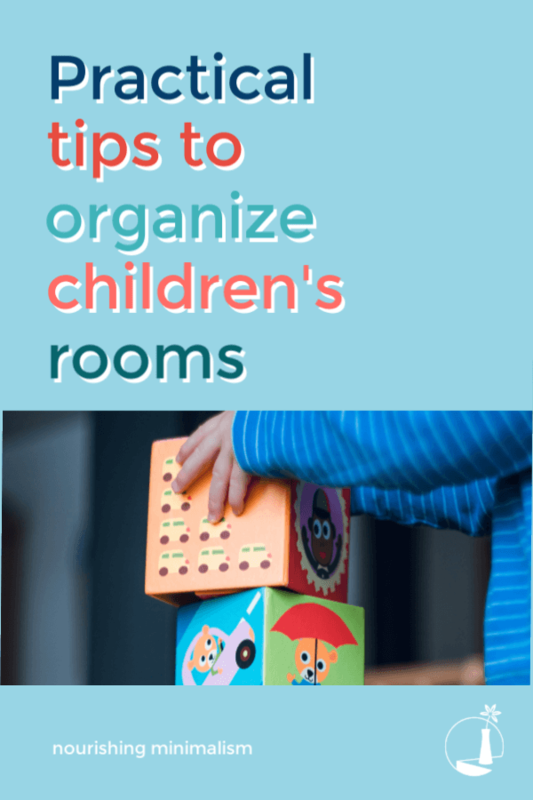 When you are organizing a child’s room, the more streamlined it is, the more likely kids are to follow through with keeping it clean and organized. 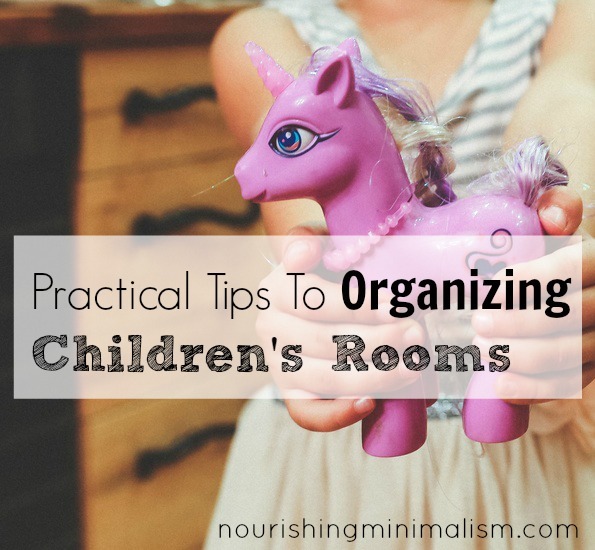 After you declutter the toys, figure out the general path the kids take through their rooms, so you know where to place different organizational tools. Put hooks in the closet, on the wall, on the door- wherever you need to. You can hang coats, jackets, bags, purses, backpacks, belts, hats, sports gear. 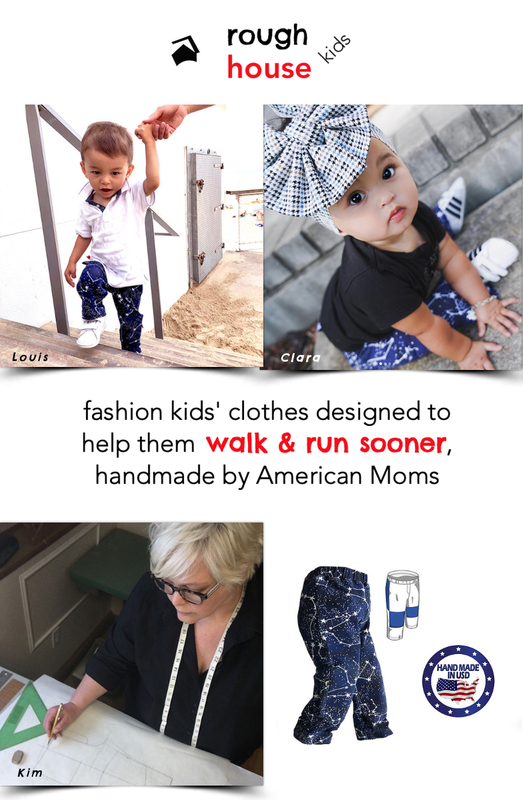 Children are much more likely to hang something on a hook because it is so easy. If things aren’t used in their room- then don’t store them in the room. For example- if your child is in sports and they have to have their gear at home, have hooks in the garage so they can be grabbed before getting in the car. Avoid storing the gear in their room, unless they actually need to put it on at home. If they don’t do homework in their rooms, then don’t store the backpack in the room– they can be hung in the entry closet, in the mudroom, in the garage, etc. Pick a place that is closest to the area where the item is used. If you have a playroom in your home than avoid having toys in the children’s bedrooms. If they have personal toys, that aren’t for sharing, then keep them in separate clear containers in the closet- out of sight. If you can keep the bedroom uses to sleeping and dressing, then it’s much much easier for the room to stay clean. If you do not have a playroom- then keep all the toys in one central location- Don’t have them spread throughout the house, keep them all together in one space. This keeps everything contained and manageable in the minds of children. Just imagine- would you have your kitchen stuff in different areas of the house? Mixing bowls in the family room? Silverware in the bedroom? Of course not, that makes no sense. It’s the same for children. Having their belongings spread throughout the house makes it difficult to chunk down what they are supposed to do; if mom says “Clean up your toys before dinner.” In their mind, they have to clean the entire house- there are toys in the bathroom, kitchen, living room, bedroom- and that is overwhelming. If you have a lego bin that is heavy and takes work to put it away, it’s likely to stay on the floor. So make sure that any containers you have to store toys are easy for the children to take down and put away again on their own. Even if your children are older- know that the easier it is to accomplish the task, the more likely it is that it will get done. Limit toys and games to a very minimal amount. I know that some may feel they are depriving the children. But really, you are giving them freedom. When you have a kitchen set- if you have 100 pieces of fake food and dishes, they’re probably scattered all over the house and rarely played with, but when you have 2 plates and 2 forks suddenly the kids are pretending. Because now their imagination has no limits. When we give them too many toys, it puts their imagination into very limited margins. This doesn’t mean we’re going to take all the toys away- it means they’ll just have less. Rotate the categories. Keep them stored away- in an area the kids can’t get to, and only have one category our at a time; legos, duplos, barbies, trains, castle, etc. If it’s considered a set that all goes together, then keep that in your toy rotation, rather than in a general toy box. Limit what is in each category- have the kids choose- if you have American Girl dolls, keep a reasonable amount of outfits- 30 outfits are overwhelming, 5 – 10 outfits are manageable. Just think- when you go to a restaurant and you have the entire menu- have you noticed that they break it down into categories, soups, sandwiches, pastas- and if you look closer, they limit what is in each category to 5-10 items- because than it’s easier for us to decide what we want to eat. If we’re that way as adults, then it makes sense that our children are the same. Consider a laundry hamper; for some people, it helps to have one right in their room, for others, it works better if there is a central hamper for all the bedrooms. If they don’t use their trash can, don’t have a trash can in their room- I found that it was getting tipped over and the trash was never contained, so it was easier to not have a trash can in their room. We made one of the chores be: get 10 things from your room to throw away and do that on a weekly basis. Looking for more specific guidelines/walkthroughs? 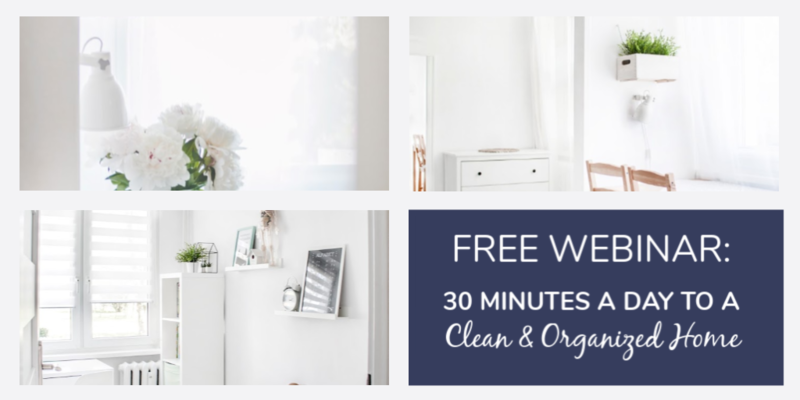 I have a full week of tasks laid out for you and your children to declutter and organize their space in Practical Simplicity. What is your best tip for keeping the kid’s room organized? We have 5 boys in 1 bedroom ages 14-5. So far the most helpful item has been a 12 hole-cubby hole thingy. I dont really know what to call it! It holds their full and twin sheets, pillowcases, shorts and now jeans since the weather will be chilly soon. Thanks so much for this post–I really needed it. I have been trying to help my kids begin minimizing their rooms but have had limited success. You tips about keeping toys in one location is awesome because they do play all over the house and when I ask them to clean up they are overwhelmed and it gets weepy and whiney and a headache. I can’t wait to implement this strategy. I also wanted to tell you thanks for this blog as it has really been a blessing to me. I had to share this little story with you. Two week ago I had the carpet in the living room and dining room cleaned. We had to remove all the stuff off the floor, leaving only the big furniture pieces–didn’t realize how much stuff it was. After the carpet dried the kids ran circles in both areas and kept saying how much they loved the open, uncluttered space. They asked to keep it that way!! I was happy to oblige. I only brought back what we use daily and everyone has been helping to keep those areas clean and clutter-free. We are getting rid of the rest of the stuff. Last Monday evening my doorbell rang and it was a friend who lived an hour away who was in the area and dropped by to visit. Normally I would be stressed and fretful because the living room and dining room are usually not very tidy. But since the new minimalist housekeeping was in effect things were tidy and clean and I was relaxed and thoroughly enjoyed her short visit. That experience has really spurred me on even more. I loved that calm feeling of not worrying about the state of my home. Thanks for all the great tips, suggestions, and videos that have helped me so much so far. I am not where I want to be but I am steadily heading where I want to go and I know by God’s grace I will get there. Thank you for being a blessing to me and all the others you minister to each day. hi, great tips! i especially like the one about keeping all the toys in one area of the house. i’ve been downsizing the toys all the time, yet we still have plenty. recently, i’ve even taken the duplo and wood blocks and halved them and significantly reduced the hand me down matchbox cars and doll clothes. still, i feel like the kids (age 5 and 2) have way too many toys. is there a good idea of categories and quantities? i realize all families and kids are different, but i would love some kind of guideline to help because i’m lost on where to reduce, yet i know that i must reduce! thanks for your blog! I would love a list of guidelines too! I feel the same way, Jamie! I’ve gotten rid of over half my children’s toys and yet, I can’t believe what a mess they still make with what they have! I know I need to reduce more, but they do play with them all, and I’m at loss as to what to get rid of. It completely depends on the category- I don’t limit legos, but like dolls; our daughter has 5 and 5 outfits, and with their kitchen; I’ve limited the items to 10-20, with the horses; they have 8. I appreciated your example of a kitchen play set with lots of different foods. I never thought about how children might be more imaginative in their play with less things. My children are grown but my daughter has been struggling to keep her daughter’s toys in check. I’ve sent her a link to this post! Thanks, Rachel. I have 5 kids, each has a plastic tub in their BEDROOM with all thEir special toys. If they get more toys than fit in the Tub they must go through and find what they want to donate until the lid fits on again. The unexpected bonus with this method is that they have become more careful about what they Bring into their collection as well. If toys get left around the house each night I chuCk them in a big blanket box and the kids ‘buy’ them back with a chore. I know this approach isnt for everyone but it works great for us.